Daoguang mark and period Chinese porcelain snuff bottle. 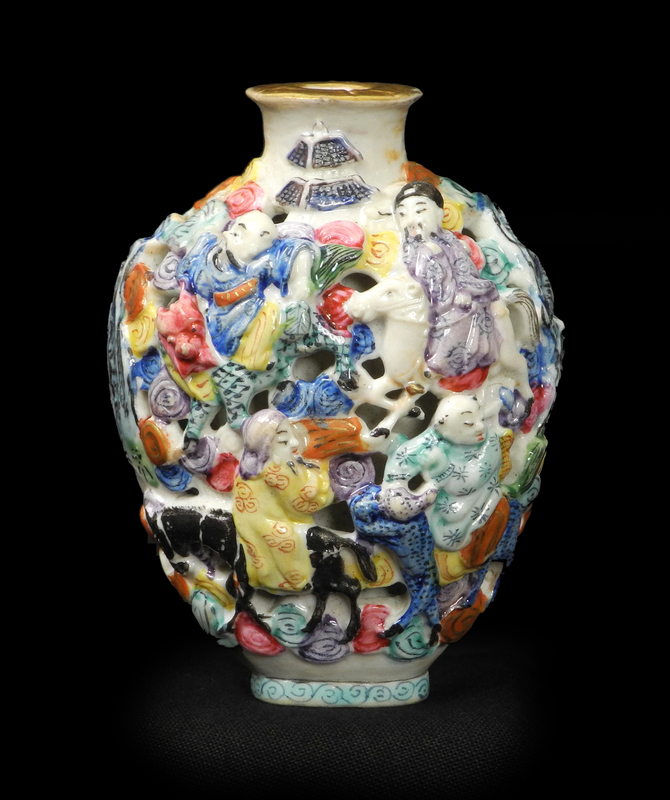 A rare Chinese porcelain reticulated snuff bottle. Four character Daoguang mark to the underside, and of the period. Finely carved with several depictions of Lohan.